Do you wish you had more time? 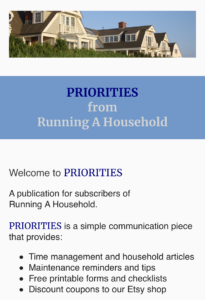 Running A Household is here to help with our Editable Grocery List by Department. The list is an editable PDF which lets you type in your grocery items. It can be used on your computer, tablet or cell phone. Just open the file and add items as you need them. Then open the document at the grocery store and add check marks as you pick up the items. What make our grocery shopping list different? Electronic: The list comes as a PDF file. You can use it on your computer, tablet or cell phone. Editable: Most lists are printable. Ours is also editable/fillable. That means you can type your text right on the list. Multi-Use: This PDF can be used over and over. Just update it each week when you shop. Going to more than one store? 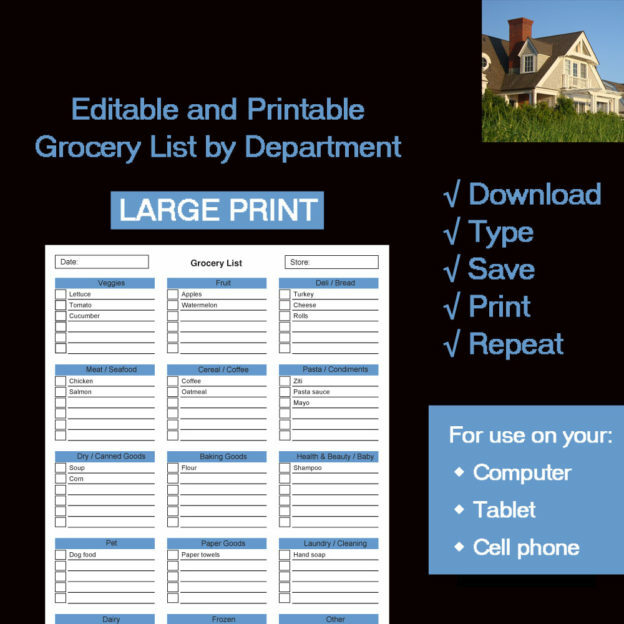 Make copies of the list and use one for each store. 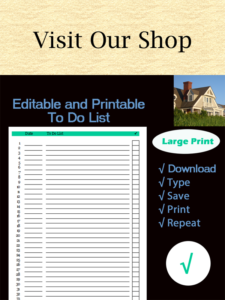 Ink-friendly: We use fewer graphics so that if you decide to print a blank copy to hang on your fridge, or print a completed list before your shop, you will not use as much ink as a list with photographs or graphic designs. Large print: The font is easier to read, especially on your cell phone. Complete with 15 Departments and more than 80 lines for grocery items. Designed with Editable Departments: Don’t have Pets? Just rename it to another department. Yes, even the department names can be changed! 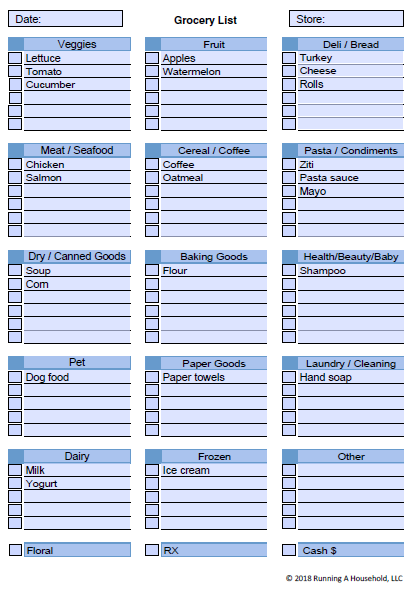 Why do you need an Editable Grocery List by Department? It will help you track items you need to buy, and organize them by location. You can breeze through the aisles and save time in the grocery store. Seems easy, right? Give it a try. Need more help getting organized? This entry was posted in Time Management and tagged Editable grocery list, electronic grocery list, Fillable grocery list, Grocery List by Department, Large print grocery list on October 1, 2018 by Running A Household.